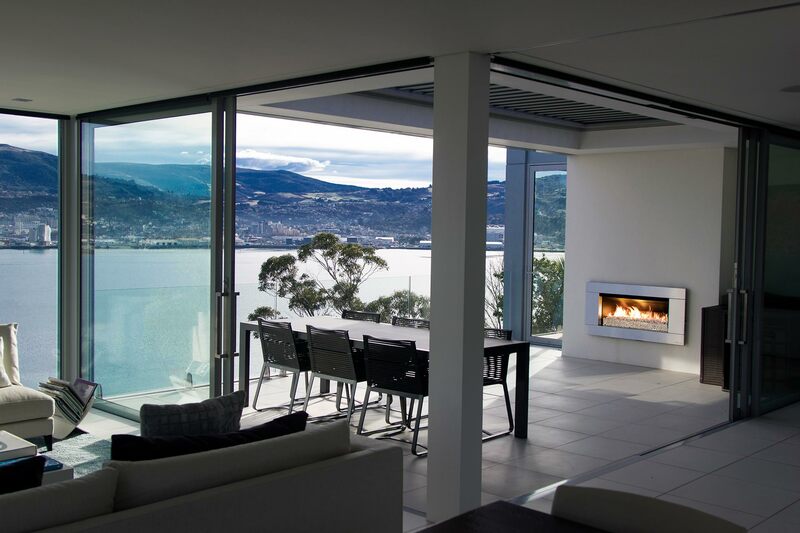 A modern home with breath-taking city and harbour views and three Escea gas fireplaces is a zen-like retreat for a young Dunedin family. 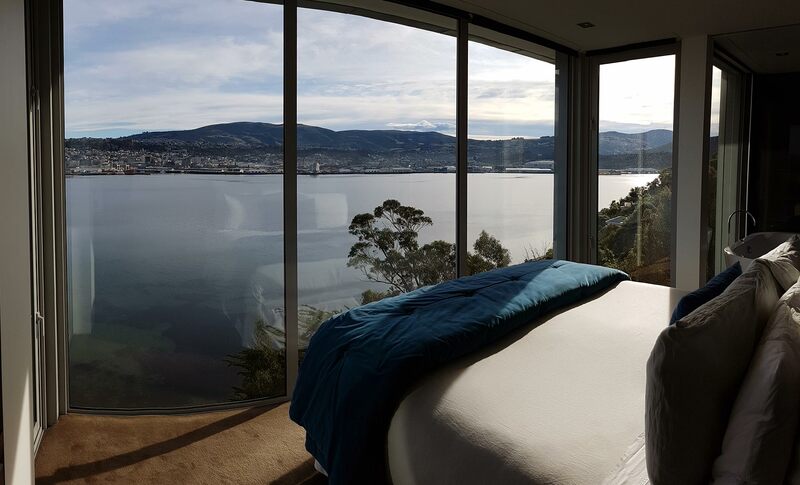 Michael and Macaela built their hill-top house overlooking Dunedin harbour five years ago. They purchased a serene, bush-surrounded section at the end of a quiet cul-de-sac and rented in town during the two years it took to complete the home. 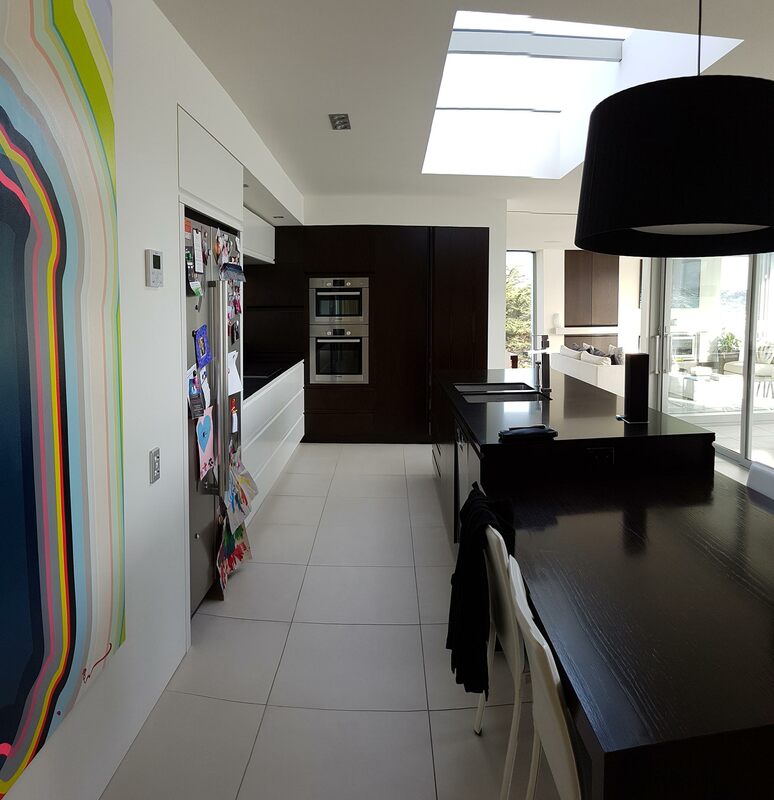 Regan Johnston headed the Mason and Wales team tasked with the 380m2, three-level build. 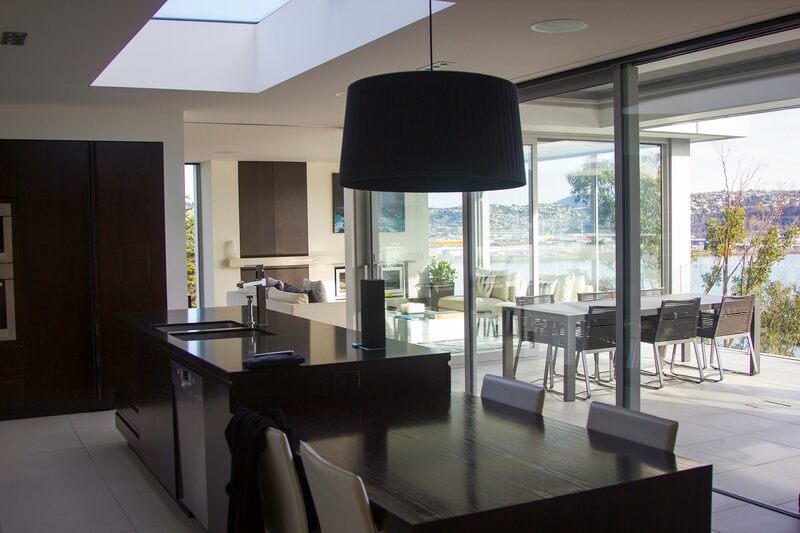 The brief was a contemporary home that maximised the light and panoramic water views. At this stage the couple were newly-wed without children, but the space needed to work for their future family (which now includes two young daughters). Simplicity was key. “Our theory is that you have to get the bones right and then add and layer from there,” explains Macaela. 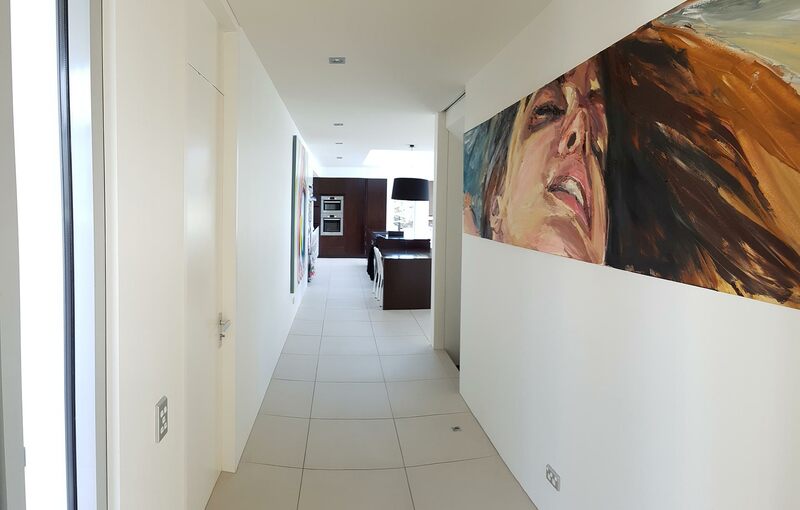 Walking into the van Aart’s home you get a sense of escape. Though the cul-de-sac is lined with neighbouring houses the home is north-facing away from the street. 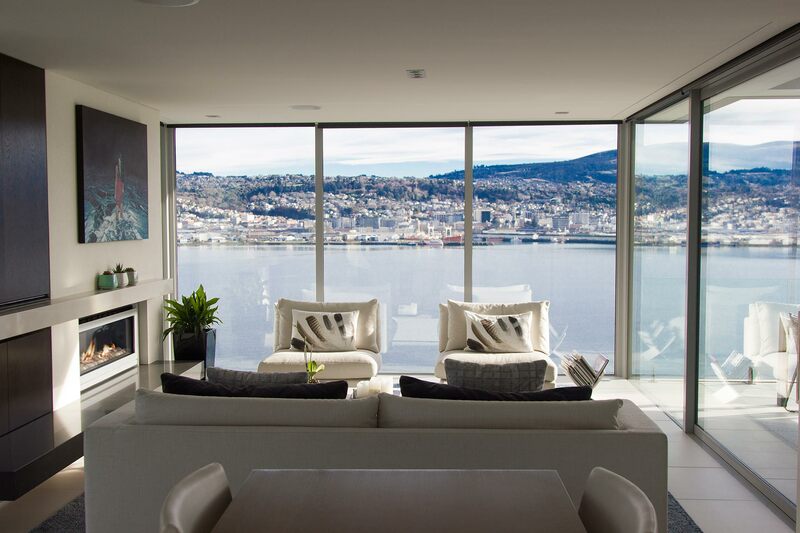 This gives the family complete privacy while making the most of the light and views. The family enjoys watching daily harbour activity, such as rowing and wildlife on the water. When the weather gets wild they can sit and watch it all roll in. On the main floor of the home where the family spends most of their time, three Escea gas fireplaces can be found. The living room features a DL1100 and in the TV room there is a DL850. 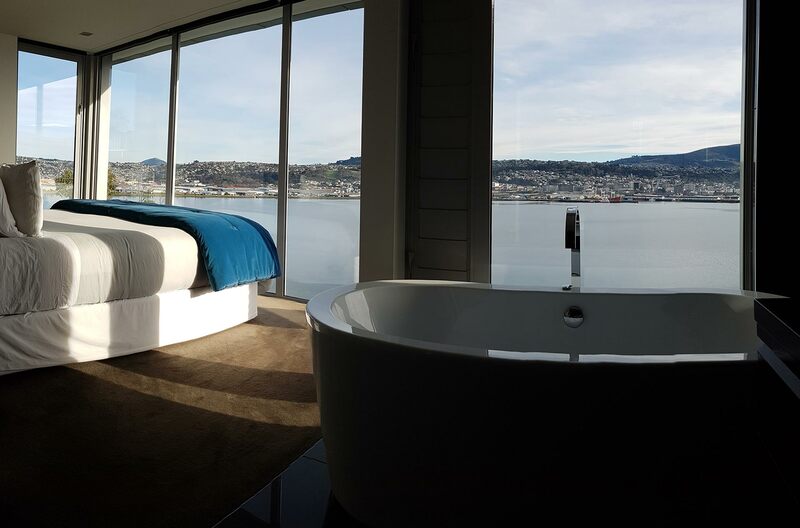 Both with squared, titanium silver fascias and NZ River Rock fuel bed. A harmonious choice for the space, which also features stainless steel hardware throughout and silver panelling on the exterior with river rocks framing the exterior of the home. A sleek stone hearth in two tones of grey acts as a frame as well as giving the benefit of keeping little hands at length. Outside, in the entertaining area, an EF5000 is situated to keep the family and guests warm while getting more use of the outdoor area in all seasons. The van Aarts loved the process of building and look forward to doing it again.